There are few artists in the South Africa as unique and multi-talented as Felix Laband. Since his first album release in 2001 on the legendary African Dope imprint, Laband’s visceral, obscure and thought-provoking style has been heralded by fans and critics, both locally and internationally. By 2004, he released the iconic Dark Days Exit album on German powerhouse label Compost—a release that would leave an impression on electronic music around the world. 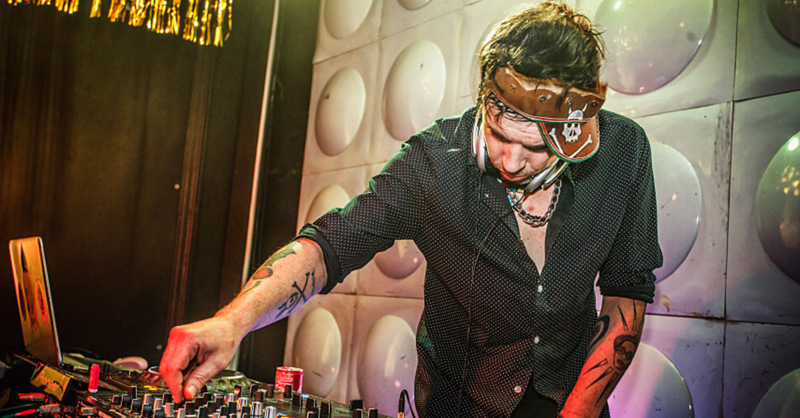 After an extensive hiatus, he returned with another impressive release, Deaf Safari, on the German label in 2015, and he has since returned to the fray, sharing his mind-bending music with fans across SA. But Felix has not only innovated in the audio realm. His collage-style, multimedia artworks have featured on his releases since day one. And earlier this year, he held an exhibit at the No End Art gallery in Johannesburg, showcasing his prowess in visual art. This weekend, after a residency at Nirox Sculpture Park in Krugersdorp, Laband showcases his multitude of artworks in an all-encompassing exhibition and concert titled “Why Is Silence Allowed”. His live performance in Nirox’s natural surroundings will present a unique moment in time for those who have appreciated his journey over the past two decades. The video-sound installation and live performance will be an exclusive one-off from the artist and will truly be an unmissable experience for all. Keep an eye out for our review and interview next week.